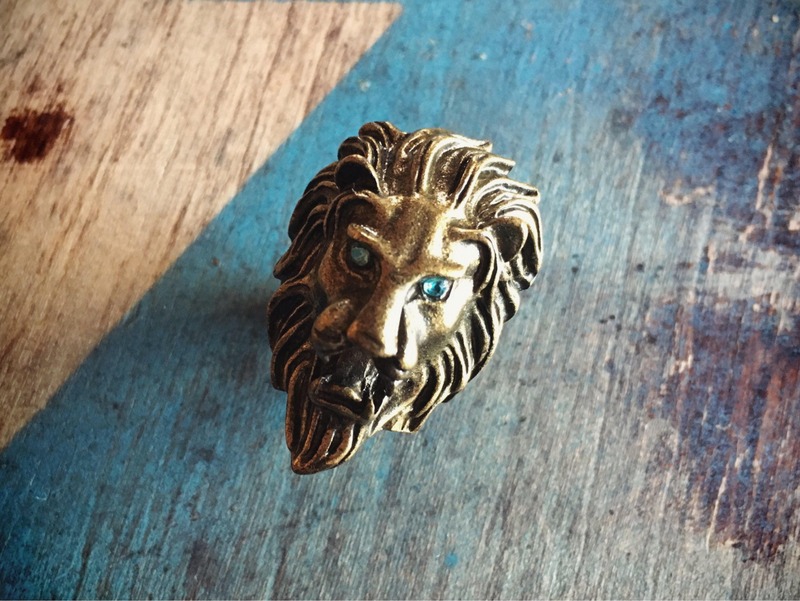 Here we have a fun costume jewelry ring in the shape of a lion's head with flowing mane and glass rhinestones of light blue green for eyes. It's a size 6 and not adjustable. 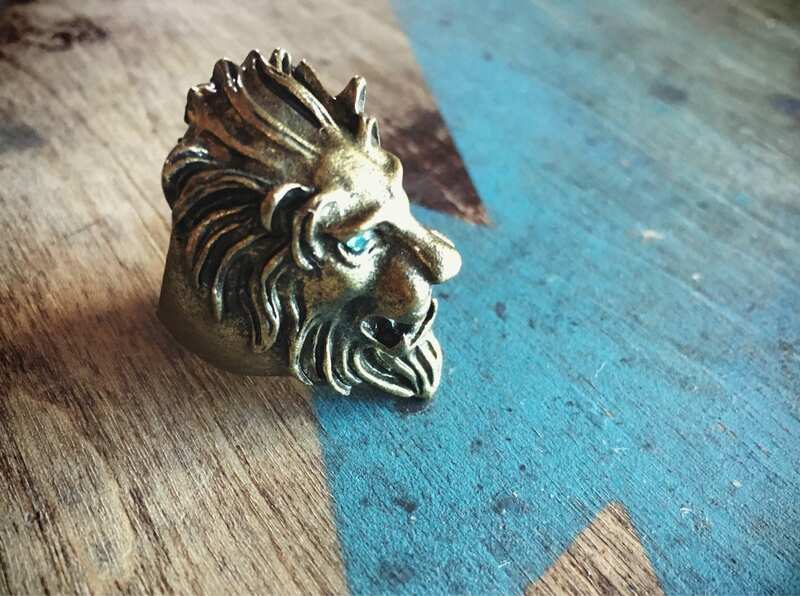 Ring face measures about 1-1/2" tall by 1" wide. 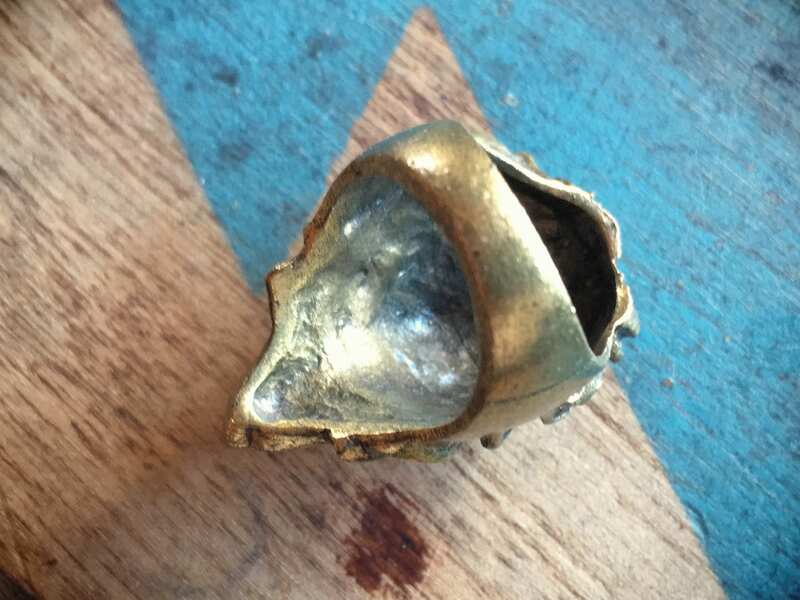 The metal, which appears to be brass but may be antiqued aluminum, has some tarnish. 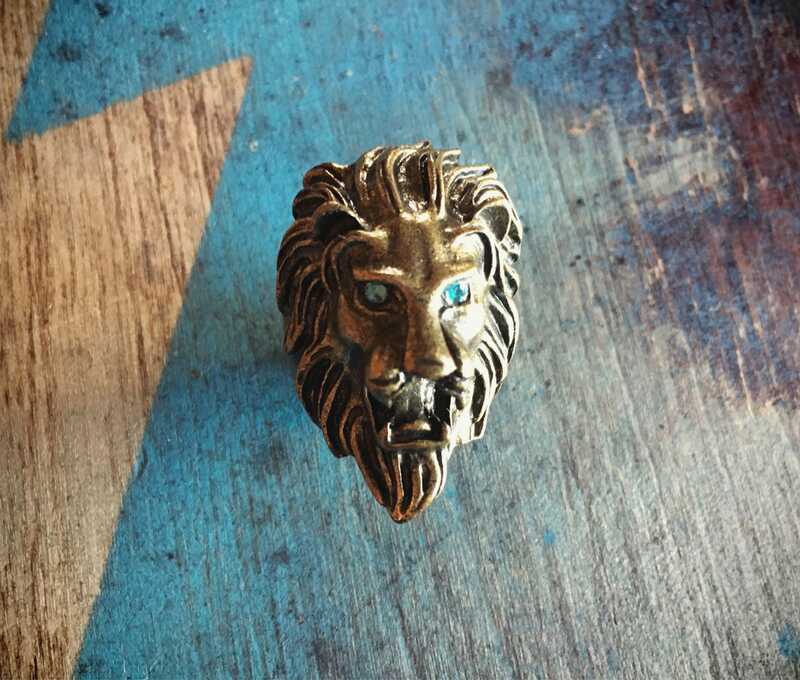 Otherwise in good vintage condition. 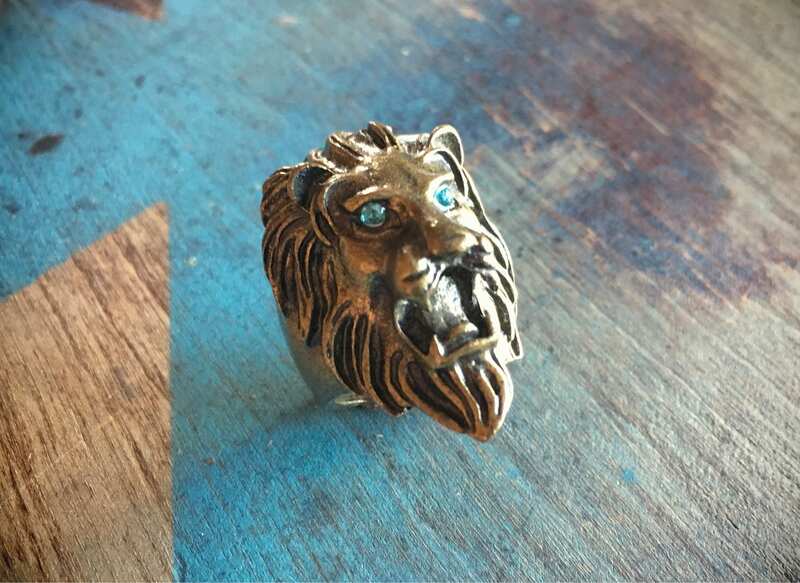 If you have a thing for lion bling, this is your ring.